Would you please add me to your mailing list??? I just found your website and am so excited!!! Your recipes looked wonderful!!!! Sure, I’ll add you. Glad you like the blog! I love that the carbs are so low, but the fat is so high. My husband is a diabetic but my cholesterol is very high. The cholesterol in this recipe is 240, which is way over the recommended amount of cholesterol for an entire day. The fat grams are 26. Is there a way to lower the fat and cholesterol in this recipe? Are these sturdy enough to cook blueberries in the waffle? Interesting question. I’ve never tried that, I’ve only added berries in pancake batter. So: In terms of the batter, yes, it would work. But it also depends on the waffle maker you have. 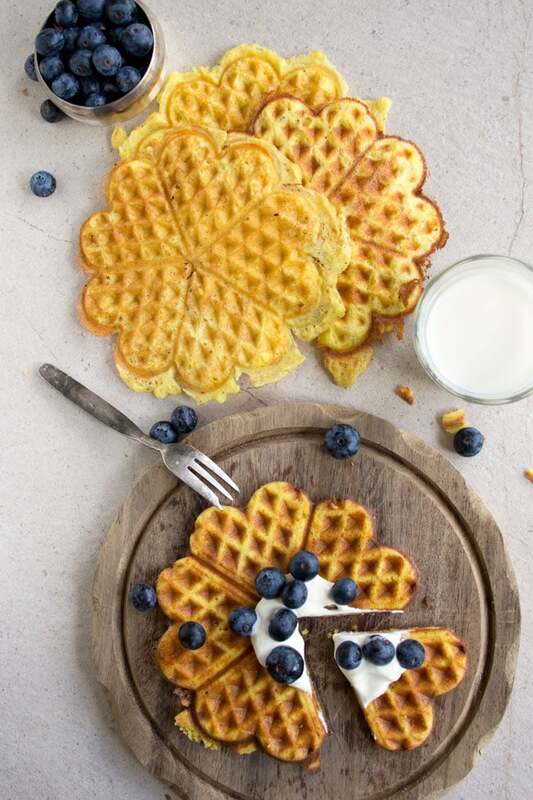 The one I used makes rather thin waffles and I would not add blueberries using that one because I think it would make a mess. But the square waffle makers (for Belgian waffles) make thicker waffles and it would probably work in them. I have just chatted to a reader who made my almond butter waffles and she added chocolate chips with great success, which I guess is a similar thing. I was wondering can you taste the almond or coconut flour once cooked as I don’t like the taste and texture of both. I can’t wait to try some of your recipes. My son bought me a waffle maker so this is how I found you. I’m type 2 Diabetic and need to cut as much carbs as I can. Could you also ad me to your mailing list please? 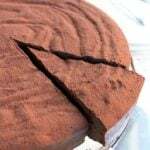 You can always taste it a little bit, unless you use it in conjunction with strong flavours such as chocolate, cinnamon, lemon and the like. 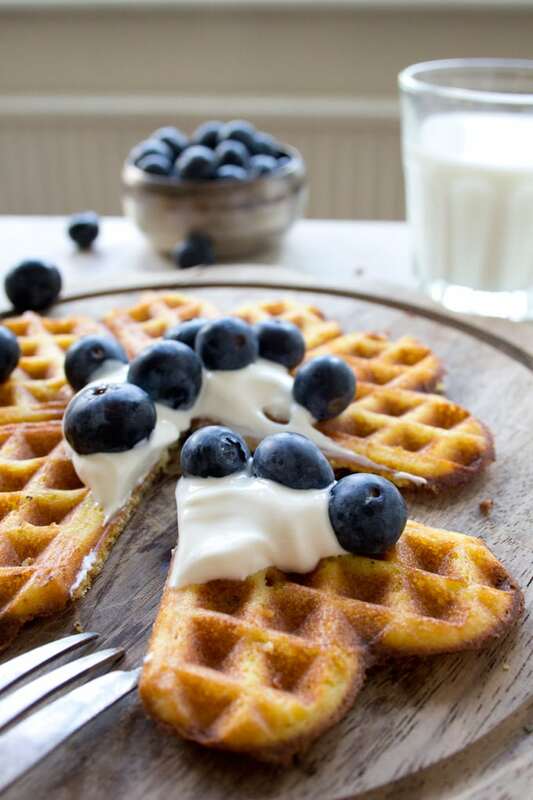 If you have these waffles warm, for example, with some berries and sour cream you can easily drown the slight coconut taste. 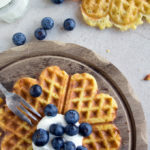 I’m sure you’ll like the texture of these waffles though as they are really light and fluffy because of the whipped egg whites. It’s all about trying around a bit and find recipes that work for you. Thanks for checking out my site. I’ll gladly add you to my mailing list! This recipe looks delicious! I can’t wait to try it! I’m so happy I found your website! Please add me to your mailing list. What type of cream do you use for your baking? In this recipe I used regular whipping cream, but you could use double/heavy cream, too. Hey Katrin, I just saw your post and was so delighted to see your gorgeous waffles. 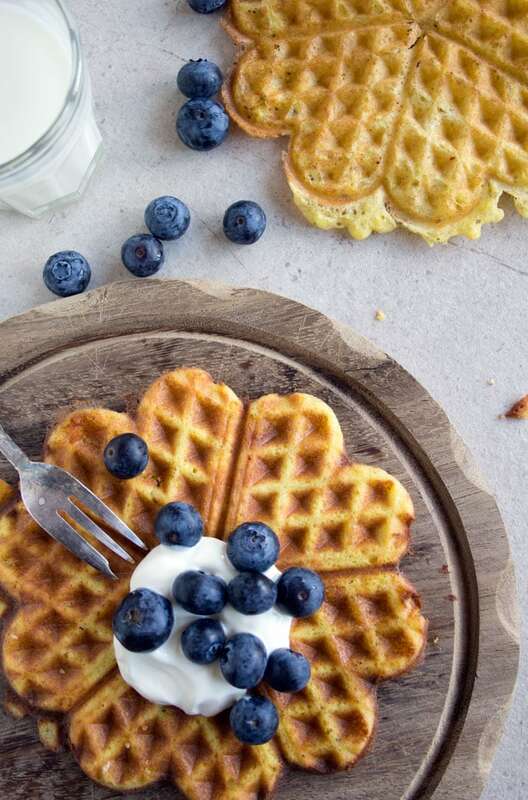 I have a waffle iron exactly like yours and I think I’ll get it out, dust it off and make your low carb waffles with whipped cream and berries…I can’t wait to try it. Thank you ! Great news! Let me know how you like them once you’ve got around to making them! Tried this recipe as pancakes this morning with outstanding results. Recipe makes two generous servings. 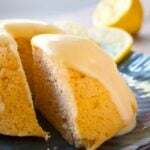 Suggested edits to the recipe process: Step 3:… add the melted butter to the egg mixture …Step 5: Lighten the egg batter with several spoonfuls of beaten egg whites and mix well. Then gently fold in remaining egg whites … Love your stuff! Thanks for your comment and thanks for your input. Will give it a try! LOVE YOUR SITE! 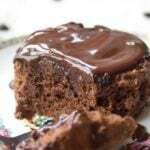 We are thrilled to find someone that has recipes online that actually taste good! 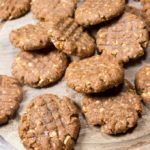 My husband has Type II diabetes and our doctor wants him to stick with Stevia and almond flour. 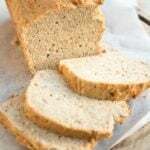 Can we make this with Stevia and almond flour or less coconut flour? Diane, thank you so much for your lovely comment. 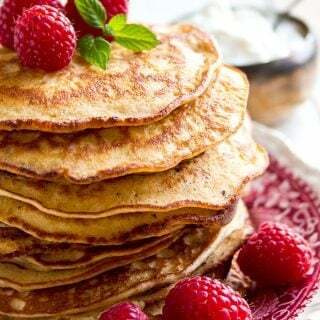 I have a pancake recipe with almond flour that you may like, it’s https://sugarfreelondoner.com/almond-cream-cheese-pancakes/. You might be able to make nice waffles with that mixture too. I’d be interested to know why your doctor recommends almond flour over coconut flour? 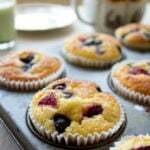 Coconut flour has a very high fibre content so the net carb count is almost as low as almond flour. 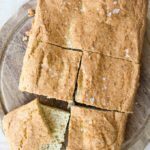 You can always experiment with lowering the coconut flour port in this recipe and replace it with almond flour. Just check the consistency of the batter looks about right. 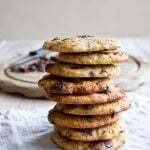 This recipes are good for people with diabetes? I will love to do this for my diabetic sister! 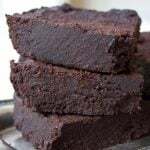 Yes, this recipe is very low in naturally occurring sugars and both erythritol and xylitol are fine for type 1 and type 2 diabetics. I use a website called caloriecount.com for my nutritional info and cannot guarantee it is 100% accurate, so if your sister is a Type 1 diabetic she might want to make her own calculations as well. Thank you for crediting me as the source of this recipe. I’m so glad you enjoyed it. 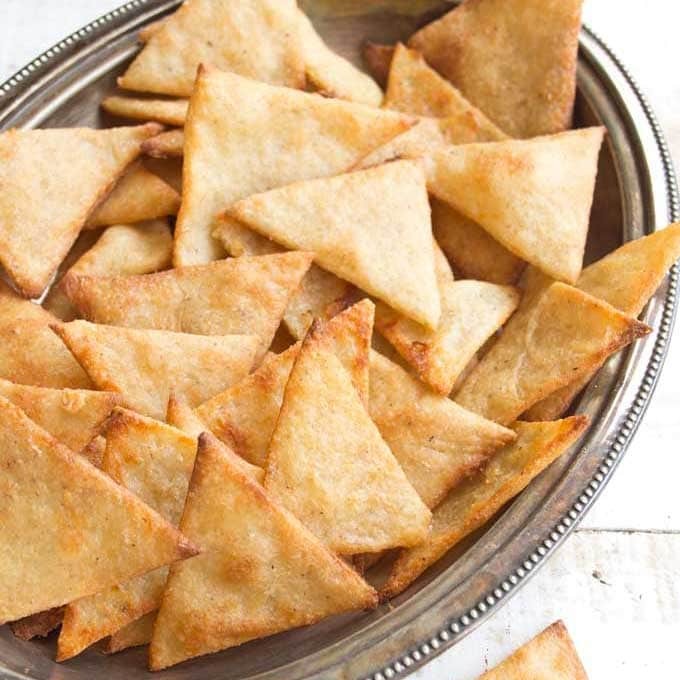 It is so simple and light yet tasty and filling. Enjoy.